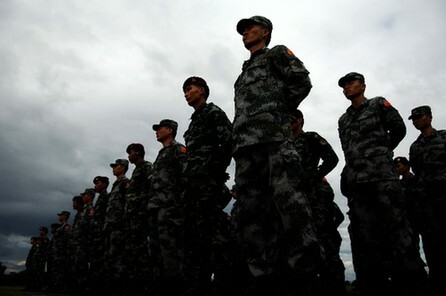 Special Forces troops from Thailand and China participating in anti-terrorism training in Thailand's northern province of Chiang Mai July 28, 2008. Coded "Strike-2008", the training will last twenty days from July 11. This is the first time the Chinese army has engaged in overseas combined training for this length of time.